Our product range includes a wide range of cnc tube wire production cell machine, cnc tube banding machine and cnc pipe bending machine. 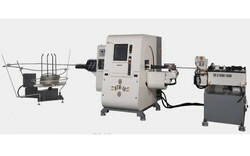 This Production Cell can work with tubes up to O.D.i9mm in copper and O.D.8mm in wire; Min. OD. cqaacity is 4mm both tube and wire. 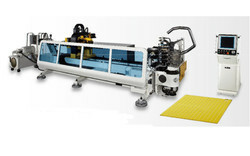 This Production Cell is especiaiiy designed for the production at small and medium diameter tubing and wire. and is widely used in industries such as Automotive Air-Conditioning. Heating. Refrigeration systems and Home Air-Conditioning. SOCO introduces the most advanced and complete line of Booster Benders for the automotive industry. With machines ranging from O.D.63.5mm - 130mm. this line Of booster benders fulfills all needs for the manufacturing Of exhaust and tubular systems for cars, trucks and buses. 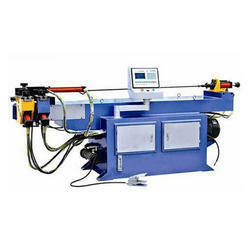 Looking for CNC Pipe Bending Machine ?